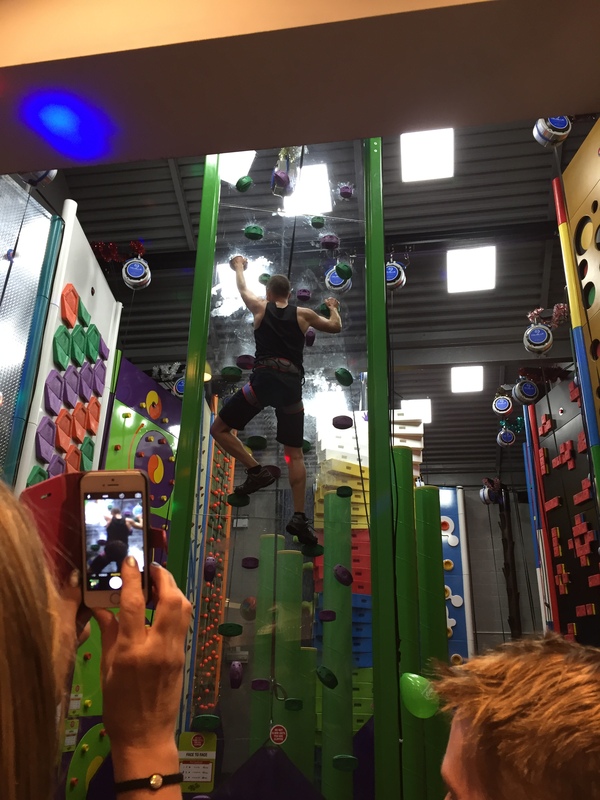 After the sheer exhaustion I experienced following my Everest climbing wall challenge (see previous post), I knew that the next challenge would also be difficult, but little did I realise just how tough it would prove to be! Having grown up alongside the Leeds to Liverpool canal, it seemed an obvious choice to cycle the length of it. There were other incentives to giving it a go; 2016 is the 200th anniversary of the completion of its construction and, at 127 miles, it is also the longest canal in the UK. I regularly cycle this kind of distance on a road bike, so given that the route is relatively flat, I initially thought it would just be a fun day spinning out and enjoying the sights. Hmmmm… things didn’t quite work out like that. Fortunately, I have some friends who have cycled all over the UK and Europe with me who I persuaded to accompany/suffer with me. 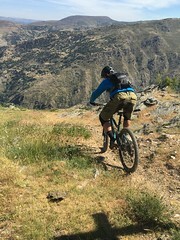 In the days and weeks leading up to the ride there was much discussion and research about the best type of bike to ride and the best tyres for the job. Unfortunately, ask five cyclists for their opinion on bike set-up and you will get five different answers! The problem was we had little idea of what the terrain might be like. We knew there would be some muddy paths, some lengths of gravel and various grass sections (on the day we found out there would also be cobbles, slabs, tarmac, puddles, puddles and more puddles!) Road bikes were out of the question, so we turned our discussions towards our mountain bikes. Our regular rides on the moors and in the Dales require big fat knobbly tyres to grip the mud and grass. The downside to these is they are slow on anything other than quagmire. We had our sights set on the current Leeds to Liverpool record of 9 hours and 20 minutes, so riding our knobbliest tyres would mean losing speed on the potentially flat, well-paved sections. 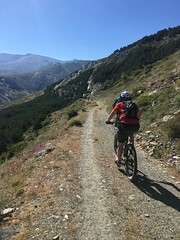 What we didn’t realise is that these sections are very much in the minority, and huge lengths of the route are made up of leg-sapping, wheel-spinning, slimy puddle-strewn mud! Our consensus to ride with semi-slick tyres on hard-tail mountain bikes was a mistake. Actually, it wasn’t quite a consensus as one of our group managed to rig together a cyclo-cross bike. It was a bit old school, built up from various bits left around his garage but the larger wheels with skinnier grippier tyres worked well and all day he had a distinct advantage. 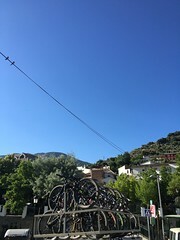 The ride starts from the head of the canal tucked away in the middle of an inner-city housing estate called Eldonian Village in central Liverpool. To get there we caught the 6:02am train from Ilkley to Leeds then jumped on the train to Liverpool arriving at 8:08. 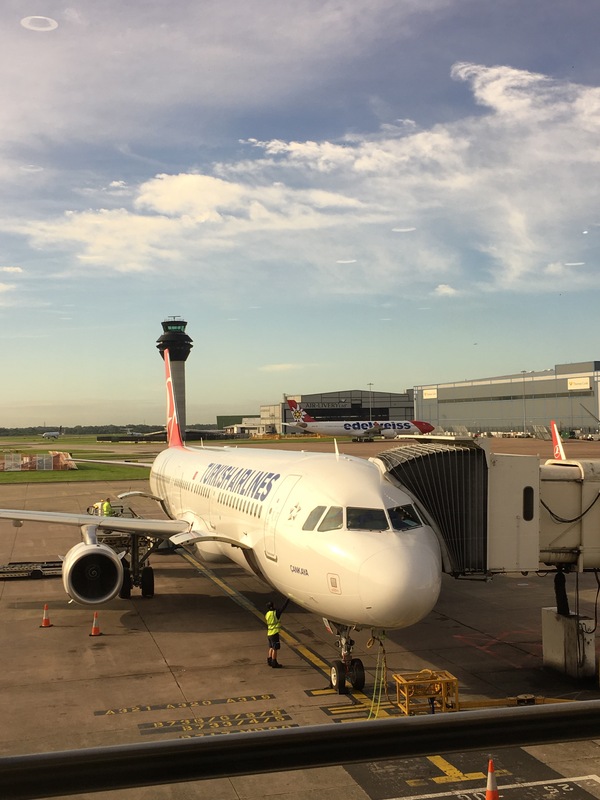 We had planned to be back in Leeds in the early evening as the forecast for the day was not too bad, rain in the morning but sunshine for the rest of the day. It took a bit of time and a couple of wrong turns to find the starting point but by 8:42am we were on our way. The rain started almost immediately but the towpath was fast and the weather meant there were very few people around to impede us. For the first hour we were very much in an industrial landscape. The volume of rubbish both in and around the canal surprised us, not only on this section but along the whole of the canal. In stark contrast to this the number of birds and waterfowl we encountered also took us by surprise. Within 20 minutes I had seen more swans, geese, moorhens, seagull, cormorants and ducks, than I had in the past year. The rain continued to hammer down as the terrain changed. Very suddenly we went from a built up area with fast hard well drained paths to open countryside with very wet, very muddy paths that were only just rideable. We had all put mud guards on our bikes as we knew from experience that riding all day behind someones back wheel would leave you covered. This works fine on a road bike but not so well on a mountain bike with semi-slick tyres. My mudguard performed like a hippopotamuses tail spraying me liberally with the sticky smelly mud that made up the towpath! After 2 hours we were exhausted and knew it would be a long day. Just like the kilometre markers on the great Cols of Europe the canal has mile markers. These occur at fairly regular intervals shows the distance you have travelled from Liverpool and how far you have to go to Leeds. They ticked by painfully slowly and although we were all putting in maximum effort and expending huge amounts of energy we weren’t going anywhere fast. The notion of beating the record was dispelled in about 45 minutes. After 3 hours we wondered if we were even going to finish at all! Another issue with riding on the towpath that we had anticipated but not fully appreciated its that it is so narrow you can’t ride side by side, you also can’t look round or easily talk to anyone for fear of falling off. It is also so muddy and wet you can’t draft anybody so the pedalling is relentless a bit like sitting on a turbo trainer mounted on sticky grease for hour after hour! Nevertheless we got our heads down and tapped away as best we could. The rain did stop as forecast around mid-day this meant that for some sections we were able to relax a little and enjoy the scenery. The sheer scale of the canal is mind-blowing and to think that it was all dug by hand is almost beyond comprehension. A by-product of cutting a canal through the landscape is that you bi-sect an awful lot of roads. This meant that a huge number of bridges had to be built. They had an ingenious design which meant that if the towpath crossed to the other side the tow-horses could walk over without being detached from the rope. The bridges were fantastic to look at but not so great to ride under. It wasn’t so much the height of the bridge that caused the problem, although you did have to duck quite low at times, as the cobbles that made up the path section below the bridges. These slippery cobbles were potentially lethal and on a number of occasions caught us out. It was only good luck and slick handling skills that prevented at least one of us from ending up in the canal! We had aimed to continue riding 64 miles to the half way point before stopping for lunch but 55 miles in and our energy gauges were flashing on empty. We spotted a boatyard cafe and with great relief had a break. Covered in mud and panting like race horses we must have looked an odd site but the ladies behind the counter could see we were tired and hungry so quickly went about making us comfortable. The restorative powers of a glass of coke, a fish finger sandwich and a pot of tea could easily be labelled as a miracle. We stopped for around 30 minutes, grumbling between mouthfulls of food about how much tougher it was than we had expected. It was 14:00 when we somewhat reluctantly departed and pulling on sodden gloves and damp helmets we set off once again. My colleagues set off at quite a pace, I set off and nearly fell off, i had a puncture. Why does it always happen when you stop! I suppose up until then we had been lucky to have avoided them especially as we had all noticed how many thorns there were lying around. The one that had pierced my tyre wall was nearly an inch long. It was so impressive I felt I ought to keep it and perhaps wear it around my neck like people do with shark’s teeth! Wheel back on and we were rolling again heading towards Wigan. We climbed steadily following up hill the series of 10 locks. Some of these locks were drained for maintenance work. It is peculiar to see them without water in them, they look ugly, almost desolate in comparison with the serenity and tranquility the full ones exude. These sections were quicker under tyre but our progress was slowed by increasing volumes of human activity. We had expected dog walkers although I do think there were fewer than I had anticipated. On the whole they responded well to us, we called or whistled to alert them to our presence, our bells were so muddied they often didn’t work. Throughout the journey we remained polite and courteous to everyone else using the canal and on the whole received a nod or a thank you in return. I had also thought dog mess would be a problem but apart from in a couple of very muddy sections around Burnley there was very little, i presume the mud makes it more difficult to pick up? Better conditions but light fading fast. As the daylight started to fade we began to realise that if we were to complete the ride we were going to need to use our lights for a lot longer than we had expected to. Would the batteries last? possibly if we used them on the lowest setting. We had loosely arranged to meet another rider who, unable to ride the full length with us, was going to set off from Silsden and ride towards us. What he hadn’t realised and we had failed to convey to him was the speed we were doing. We had optimistically suggested we would meet him around 4:00 in Gargrave, well when we finally made contact at that time we were still 18 miles away. He continued to cycle toward us and at around 5:30pm 4 riders became 5. This section was perhaps the toughest. It was very sticky mud with virtually no traction, it was dark and getting colder. We then had a number of punctures in quick succession. As a cyclist you expect punctures, sometimes you even welcome them for the rest they afford you. Standing next to a freezing canal with no sign of human life, with your cold numb fingers covered in stinking mud trying to find the latest thorn you resent them and the person who had one! Only kidding, you just get on with it knowing that that is all you can do. Tired, hungry and utterly fed up we limped into the next village, Gargrave. Here we saw 3 words that warmed us to our core Fish and Chips! whilst wolfing down our fish butties we had some frank words about our situation. We were low on inner tubes, we were low on light batteries and we were running out of time. The decision in my mind as to wether or not to carry on was never in doubt but i didn’t want anyone else to feel obliged to continue. It wasn’t quite like a scene from Band of Brothers but I certainly felt grateful to my friends as we all agreed to see it through no matter how long it took us. We had around 30 miles to go, it was 19:30 and our last train home left Leeds at 23:15, plenty of time! With our fuel tanks full we tried to take advantage of our restored energy levels and push on a bit quicker. Our minds and bodies were willing but the terrain once again meant we weren’t able to. I think it is because of the frustration i felt that my concentration lapsed and for the first time that day I came off my bike. I landed quite heavily against a dry stone wall, not a particularly soft landing but it was either that or the canal! my wrists took much of the impact but fortunately there was a bit of give in the wall so I was fine. I jumped back on the bike perhaps a little too soon because within 500 metres I was down again, this time I fell down quite a deep ditch and struck my right knee on a rock. With the adrenaline still coursing through me I once again mounted my bike and carried on. It was only when approaching Skipton that I realised I had hurt myself a little more seriously than I had originally thought. I have had plenty of whacks on my knees, it is an injury that all cyclists and sportsmen encounter. I therefore knew that if i kept cycling it might be ok but if I stopped it would swell up and make riding impossible. We paused to assess the damage, this allowed me to get a couple of ibuprofen inside me which i needed for the pain as much as the swelling. I decided I had to carry on. We sped from Skipton to Kildwick, we had been forced to use the road for a section as there was maintenance work taking place on the towpath. I had been fine spinning at speed but I couldn’t put much pressure through my right pedal. I dreaded getting back onto the towpath as I knew that another fall would mean a lot of pain and the end of my ride. Just as we left the road we had another puncture. I couldn’t stop to wait for it to be repaired so I took the decision to carry on at a steady pace. We split the group into to with another rider coming with me. We knew once we reached Riddlesden the towpath was in good condition all the way to Leeds, so this became our first objective. We wanted to make sufficient progress to get to Leeds in good time but didn’t want to go so fast that the others wouldn’t catch us. 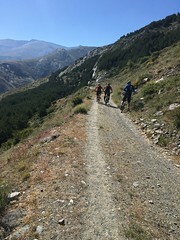 We reached the quicker section and with that relief picked up the pace, stopping once or twice for a breather and to allow the others to catch up. There was no sight of them. A slightly longer break came when we ran out of liquids, I knew there was a small supermarket 50 metres off the towpath we decided one of us should go and stock up whilst the other maintain a canal side vigil for the chasing group. I have never felt so alien as when I walked into that supermarket. Teenagers swore and giggled, mum’s grabbed there kids and the shop staffed stared unhappily as I dripped mud from the chilled drinks cabinet to the till. I caught sight of myself in the curved security mirror. it’s supposed to be good for the skin! Blimey what a mess! With our water bottles topped up, text messages sent to the chasing group we set off once again. We passed a distance marker, 17 miles to Leeds. We passed quickly through Bingley and it’s Five Rise Locks, through the canyon formed by the building walls of Salts Mill and back into the countryside that makes up the land between Bradford and Leeds. We reached Apperley bridge just 3 miles to go and 45 minutes before our train! A grin of delight forming as we realised we were going to make it. Then suddenly out of the darkness loomed an enormous security fence with a large sign on it TOWPATH CLOSED. Due to the recent flooding in that area the towpath had largely been washed away. We quickly dug out our phones to look for alternative routes, we were in the bottom of a valley and the only way to get to leeds would be to climb one of these hills and follow the main road in. Whilst deliberating we spotted the flashing lights of the pursuing peleton. Except it wasn’t quite a peleton as there were only 2 of them they had failed to fix the puncture so had to phone for a lift home. Whilst discussing our options we heard the familiar hiss of another puncture! Psssssstttttt……….Aaarghhh!!! Well , that pretty well made our decision for us. The nearest station was Guiseley some 4 miles away and there was a train in 30 minutes. With the pain in my knee increasing and the swelling getting worse I set off once again on my own. Within 10 minutes I had pulled up outside the Station pub. Four pints were quickly ordered and even more quickly drunk. We then jumped on the last train to Ilkley and I made it home just as the clock struck midnight. I was antithesis of Cinderella coming back from the ball! cold, muddy, tired and in pain I limped home. Stripping out of my clothing on my back doorstep I reflected briefly on the day. It had been a long one, it had been far far tougher than I had imagined. We had made errors in bike and tyre choice which had massively affected our ability to ride at our best. This left me with only one conclusion, I had to have another go! I will wait until the summer, get the right bike set up and see if I can better the 9 hours 20 minute ride time. It’s obvious which were the fast and slow sections! “Come on Tim, you are a third of the way through you can do it. 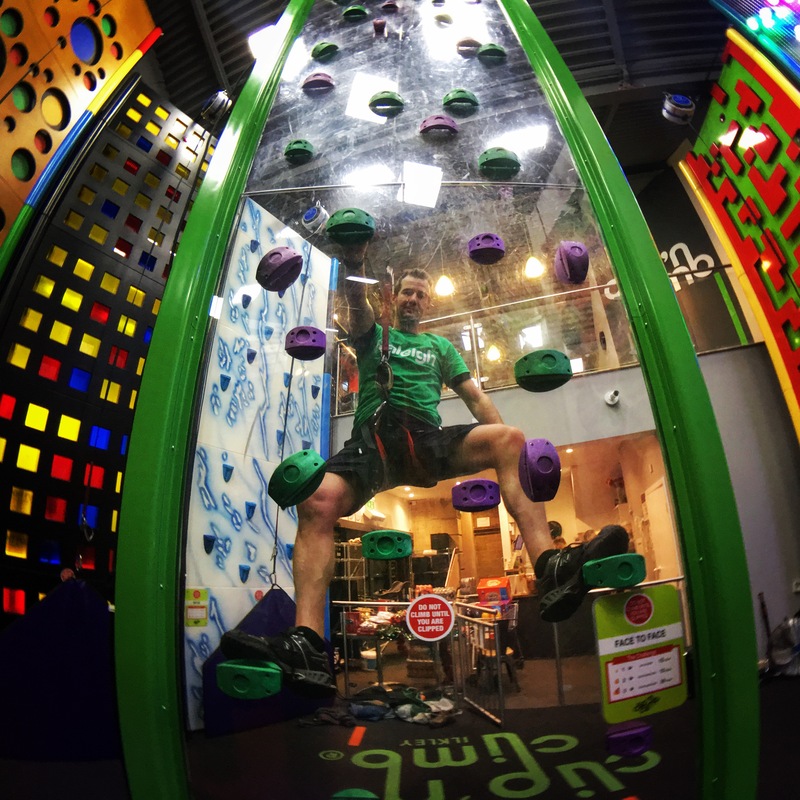 Oh no, sorry, i mean a quarter!” “Can you hurry up Tim we want to go to the pub” these were the kind of motivational comments that kept me going during my recent attempt to break the World Record for climbing the equivalent height of Everest on an indoor climbing wall! To be honest I could not have managed it without the help and support of friends and family. It was a cold wet dark December morning that greeted me at 5:30am on the 23rd December. I had not slept well during the night as nerves which so often do got the better of me. I had prepared as much as I could and knew that the only thing between me and the record was 13 hours of pain. 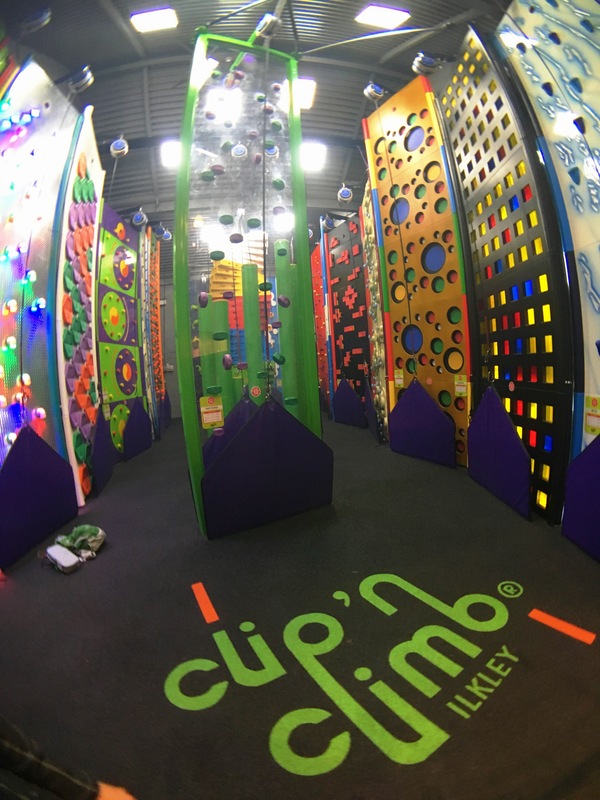 I arrived at Clip’n’Climb in Ilkley with minutes to spare. This indoor climbing facility being the venue for my attempt. If I was going to break the record I would have to climb their 6m wall 1475 times in less than 13 hours and 20 minutes. Up until that morning the most I had done in one go was 150 in just over an hour and that had left me with blistered hands and cramps in my legs. This was going to be a suffer-fest! At a couple of minutes past 6:00 with harness on i was ready to start. I had 2 independent time keepers and also cctv cameras directed upon me. I knew i had a sports therapist coming at 8:30 so i set this time as my first target. Photos taken, video ready it was a 3,2,1 countdown and on my way. Having previously endured 150 ascents in one hour I set this number as my first target. I surpassed it without difficulty after around 90 minutes. I felt strong and relaxed. However,I knew I would have to pace myself. It was around the 200 ascents mark that it first dawned on me how tough this was going to be. It is with gritted teeth and clenched hands that i re-count this from the comfort of my chair! The pain and fatigue in my arms began to creep in when i hit the 300’s. I needed a break and so it was with great relief that I spotted Julianna the sports therapist setting up her table. She quickly assessed the situation and very professionally got on with what needed to be done. I ate whilst I was pummelled and looked on my phone at all the texts and e-mails that had been coming through from friends and family. With such overwhelming support and the clock continuously ticking I knew I had to leave Julianna’s therapeutic touch and get on with it. “Once more unto the wall!” I am no Henry the V but i certainly felt like i was in a battle. During the next few hours I built up a rhythm and a pattern and the counter steadily clicked up. There were regular, welcome, interruptions from many well-wishers. The chance to catch my breath and have a quick chat with friends and strangers alike and to explain what I was was doing and why was good for my body and mind but not for my schedule. A good friend Mick, with whom i had recently traversed the Cuillan ridge, was Mr Motivator and statistician for the day . He kept me informed of my schedule and wrote down how many i would have to complete in each hour to keep on track. Unfortunately, my hands were falling to pieces. I knew from previous training climbs that this would potentially be my biggest problem of the day. I am not a regular climber so i haven’t developed the callouses that are so vital to gnarly rock monkeys. I had tried wearing gloves but they were too hot and I sweated too much in them. I was recommended to try tape, this worked, without it I could not have continued. Throughout the day as I felt blisters beginning to develop I would wrap 2 inch strips around the affected digits. This continued until my hands looked like those of an Egyptian mummy! During the challenge I had to continually wrap and unwrap the tape as it became worn through and the pain seared through my fingers. 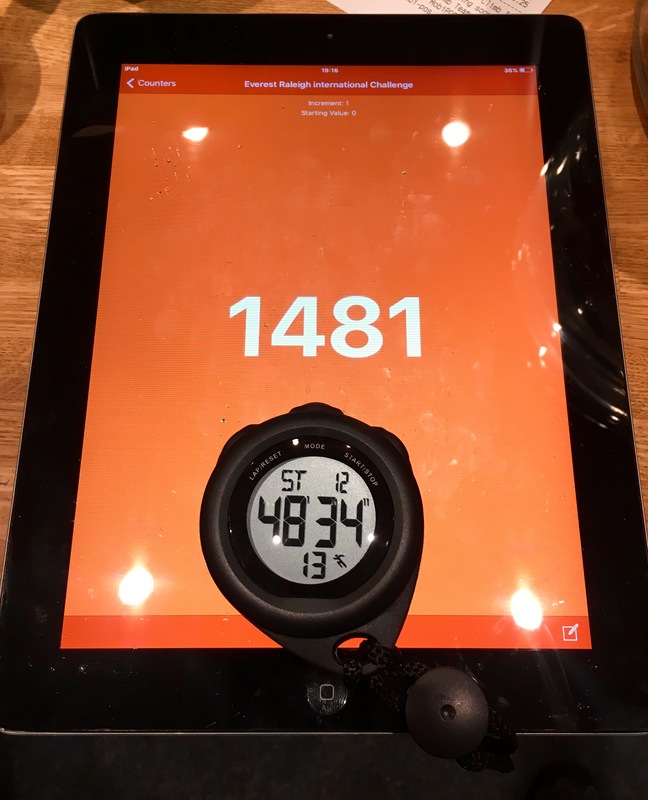 The swelling and pain in my forearms also became a challenge and as I pushed on to the 1200 level I was having to pause every 50 or so ascents to have my arms rubbed and stretched. My hands were like claws now and were very swollen. With the crowd of onlookers building and with only 100 to go it was with a renewed sense of purpose that I cracked on. Finishing the final 50 ascents was a mixture of pure pain, relief and elation. For the previous 4-5 hours my entire body had been shouting at me to just stop. It was only sheer will power that kept me going. This can almost be as tiring as the physical effort. To summon up the mental resolve to achieve each assent I felt I had to dig deeper than I had ever done before. I locked out the pain, took on board the increasing chorus of encouraging shouts and went for the final 10. The final ascent was met with rapturous cheers and an overwhelming sense of relief. The champagne was un-corked and half it’s contents sprayed over me. I had done it. 1480 ascents in 12hours 48minutes and 34 seconds. 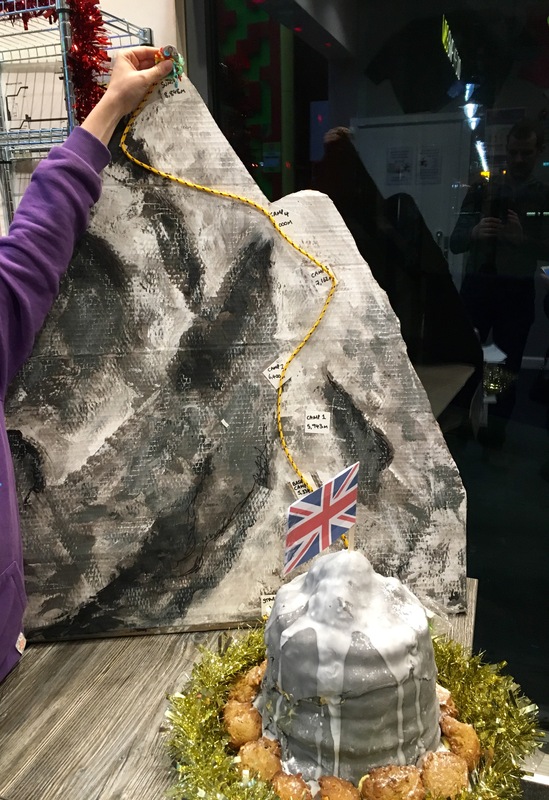 A new World Record (unofficial, to be ratified) A huge thank you to Clip’nClimb Ilkley and all those who supported me on the day. 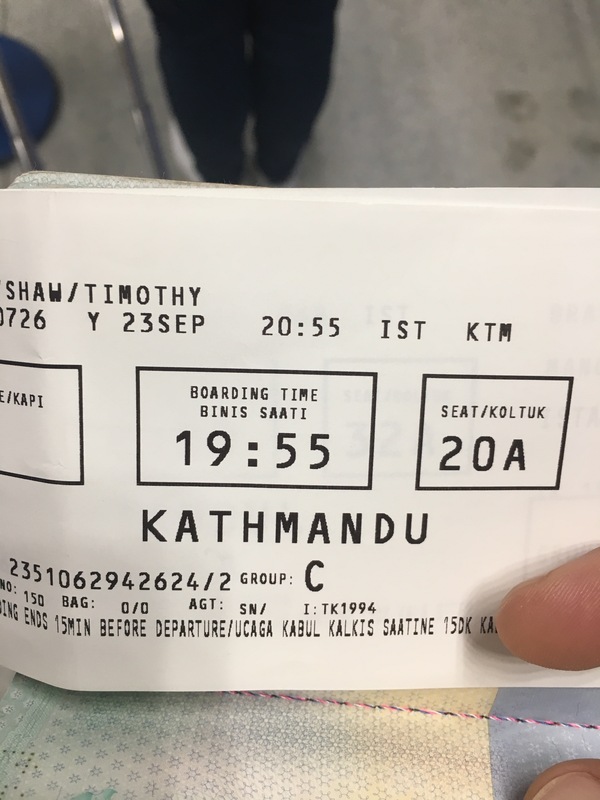 Bring on the next challenge…..